Winter Care: Wet soil during the winter can be fatal to plants, so soil drainage is key. 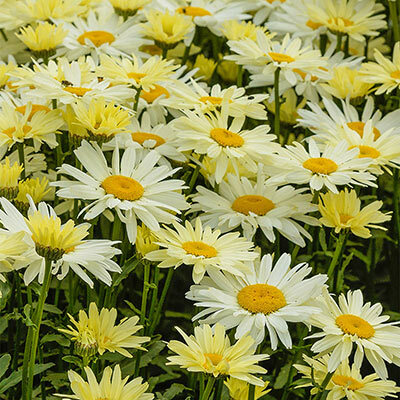 Flower Form: Extra large, clumped, daisy-like flowers. Foliage Type: Lance-shaped, coarse-toothed foliage in medium green shades. Pruning: Remove spent flower heads to prolong blooming. May cut stems back after flowering to preserve plant and prolong plant life. Soil Requirement: Dry to medium dry, well drained soil.